This past week I’ve been working on my stars. Star #99 still needs a few more pieces of background attached — then I’ve got to pick more star fabric. So, this past weekend I started working on the Craigslist scraps – the ones I got back in October and whittled down to one crate. I’ve got them sorted by color or theme except for this last little bit in the crate. There were piles covering all of my ironing board, but I had to make room for pressing. The blues have been pressed. 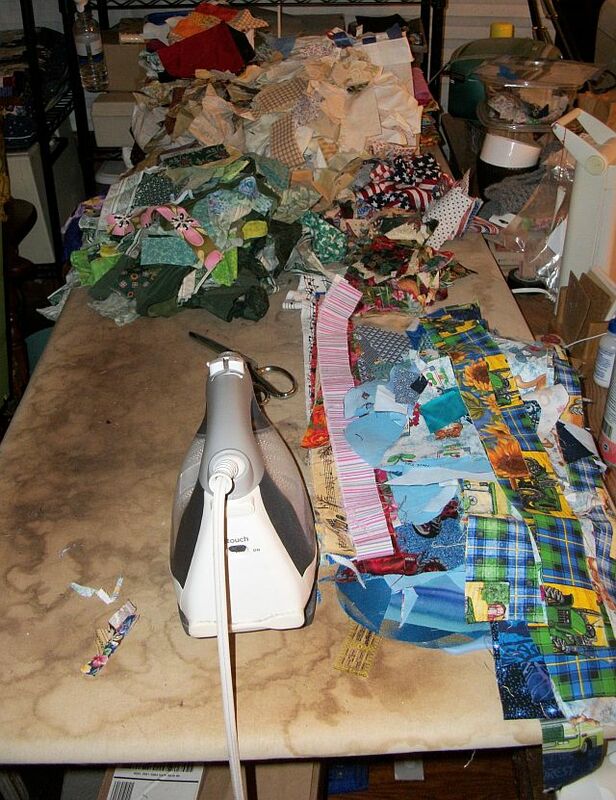 To clear the space, I moved the scraps to my treadle. 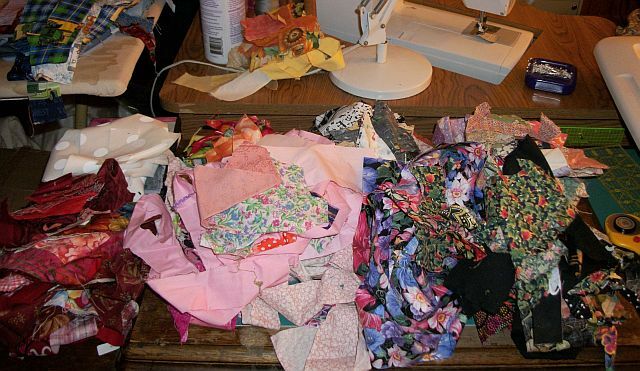 I hope to get through the scraps this week because I need to get back to the graduation quilt. I was reminded that there’s just two months until graduation. Check out what other are working on over at Patchwork Times. I love your stars. What a great use of scraps. Those Stars are ‘sparkling’. 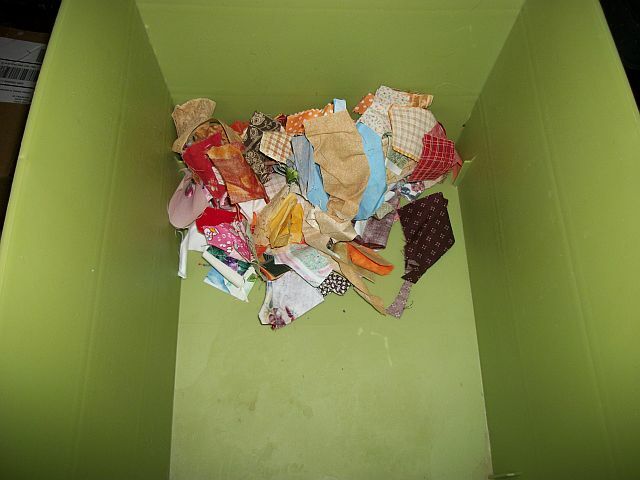 Glad you are gettting down to the bottom of your scrap tote there. That is hard to do when other project deadines are looming.